What is the answer to how to build a business? 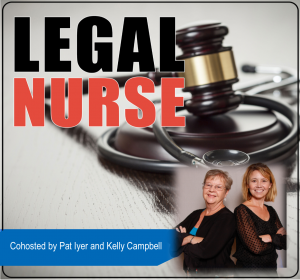 Wherever you are on the path to legal nurse consulting career, you will benefit from these inspiring stories from successful LNCs. In this new 2016 second edition, Pat Iyer tapped the expertise of her colleagues to bring you wit, wisdom, and lessons learned. The 42 chapters include updated chapters as well as 16 brand new chapters written by legal nurse consultants who are independents, expert witnesses and in-house consultants. The book is chock full of advice, encouragement, and humor. It will inspire you with stories of how nurses achieved the goal of being an entrepreneur. You will also enjoy the expanded introductory chapter: “You know you are an LNC when. . .” and the all new chapter, “If I were to do it all over…” filled with advice from LNCs who define what they would have done differently. Learn from their wisdom; avoid expensive mistakes. Pat Iyer MSN RN LNCC is a serial entrepreneur who has started several businesses. She is married to an entrepreneur and has sons who are entrepreneurs.